Shi Cheng, Short Stories from Urban China, edited by Liu Ding, Carol Yinghua Lu & Ra Page, published by Comma Press in both paperback and e-book format, is a sort of mind map of both modern China, and also of what it’s like to be human. 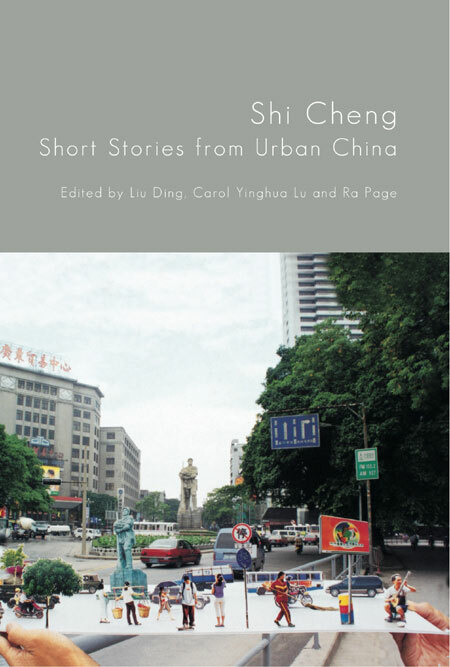 Shi cheng means ten cities, and the collection contains ten short stories, each set in a different Chinese city, each by a different contemporary Chinese author, and each translated into English by one of a small team of translators. A sense of place is never absent. The ten cities are rendered in all their specificity, from the weather, to the food consumed, to the traffic patterns, to the toilet arrangements, but Shi Cheng is not a geography textbook, and the characters take precedence over the settings. As for crime rates, so for emotions: people from Pyongyang fall in and out of love as surely as Parisians; jealousy provokes shameful behaviour in Warsaw just as in Beijing; rejection hurts whether you’re living in Tokyo, or in Caracas. Shi Cheng highlights these similarities between people, rather than their differences. Granted, the settings are all in China, and most of the details are specifically Chinese, nevertheless the struggles of the various characters are universal. In Kangkang’s Gonna Kill That Fucker Zhao Yilu, by Jie Chen, translated by Josh Stenberg, love, jealousy and the complexities of friendship are much more important than the setting, Chengdu. Family Secrets, by Ding Liying, translated by Nicky Harmen, is also about jealousy - and also about anger and disillusionment. The narrator is a newspaper columnist who gets more than she bargained for when she answers the phone to one of her readers; with a few minor adaptations it could be set anywhere where newspapers publish gossipy human-interest stories, and journalists feel ashamed of their work. The loneliness of life in big cities is explored in such stories as Square Moon, by Ho Sin Tung, translated by Petula Parris-Huang, and This Moron is Dead by Han Dong, translated by Nicky Harman. This Moron is Dead concerns a man who dies in the street, and whose body is largely ignored; indifference could be the fate of a corpse in almost any big city in the world. If you want conversations one-to-one with various Chinese writers, and the various characters they have created, then I recommend Shi Cheng. If you have read it yourself, then do please post with your comments.